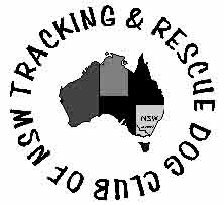 Laurie was a founding member of the Tracking and Rescue Dog Club of NSW Inc. Laurie handled and owned German Shepherd Dogs, two of whom attained Obedience Championship titles (back in the olden days when Tracking was a component part of the Obedience Championship). This trophy is won each season by the handler who attains the most points based on the table below. Dogs must be handled by their owners. The handler receives a replica of the trophy to keep.